The UK-based Purple WiFi is a powerful and secure guest WiFo platform featuring social login, enhanced social media interaction, content filtering and real-time insight and analytics and full compliance capabilities. It helps organizations to increase their business and improve customer loyalty using advanced and easy to use customer analytics and campaign management tools. Purple WiFi, can also leverage detailed location data to improve customer insight and allow targeting of customer marketing campaigns. It also captures customer data which includes opt-in email addresses allowing the quick build up of valuable marketing lists of people who have actually been in their store, restaurant or venue. Purple WiFi has created a tool which allows the organization to send emails or SMS to your customers that is tailored to their demographic and behavioral pattern. The Purple WiFi reporting engine provides detailed analytics for venues. With Purple WiFi enterprises, you can find out the visitors, duration of their stay, how often they return and can also capture detailed demographic data via the social log. 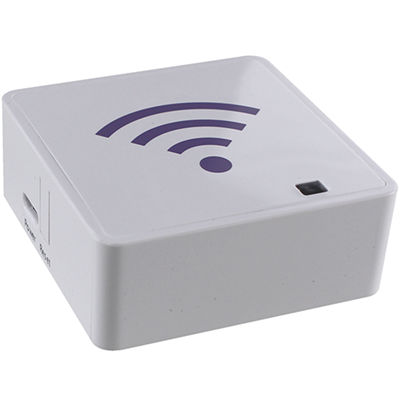 Purple's safe and secure Guest wifi solution allows customers to access free WiFi. By signing in via a social media platform, you are able to capture details of your customers and promote your business to all their online friends.